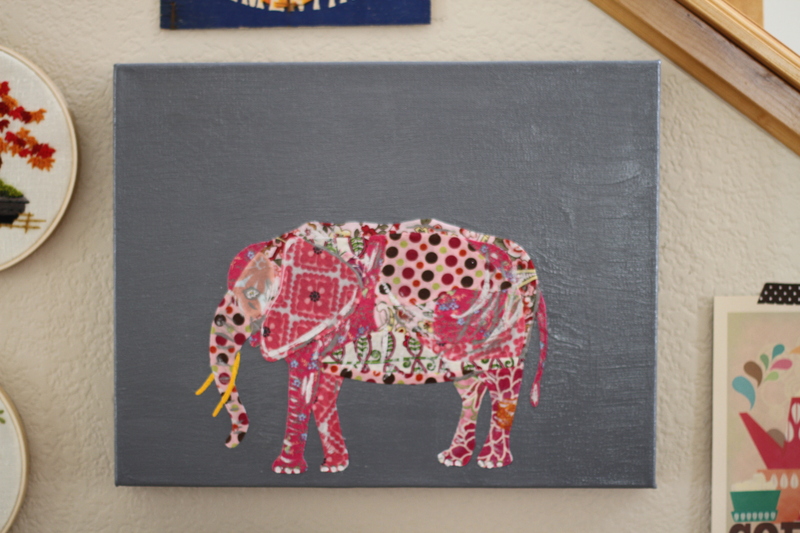 The first time I saw this elephant collage I wanted to make it. It started as a pin on my “walls” board via etsy. 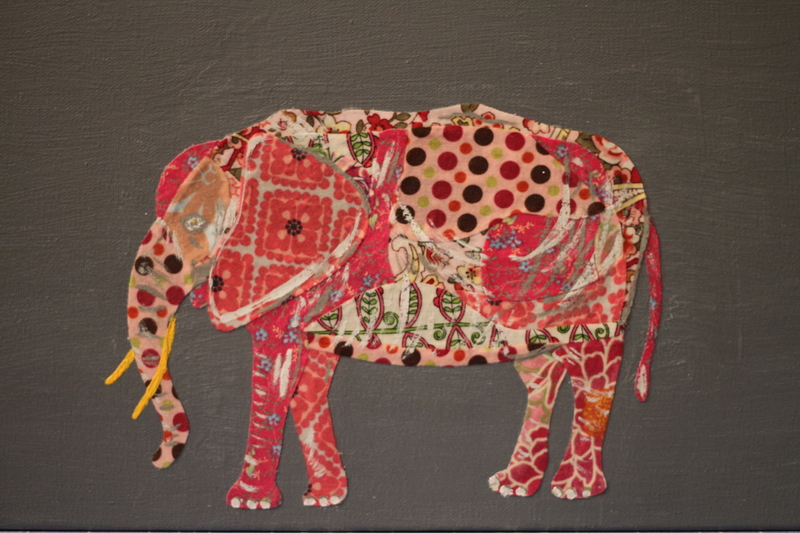 The brilliant artist uses paper to collage her animal works of art. I printed a picture of it and cut apart each section to duplicate it in fabric. I grey painted a canvas for the base. I very much love it. I am not an artist so I must carefully measure and sketch designs to get what I want. That beautiful! The technique seems really interesting, too. There are so many things that could be made like this; I want to try experimenting too! 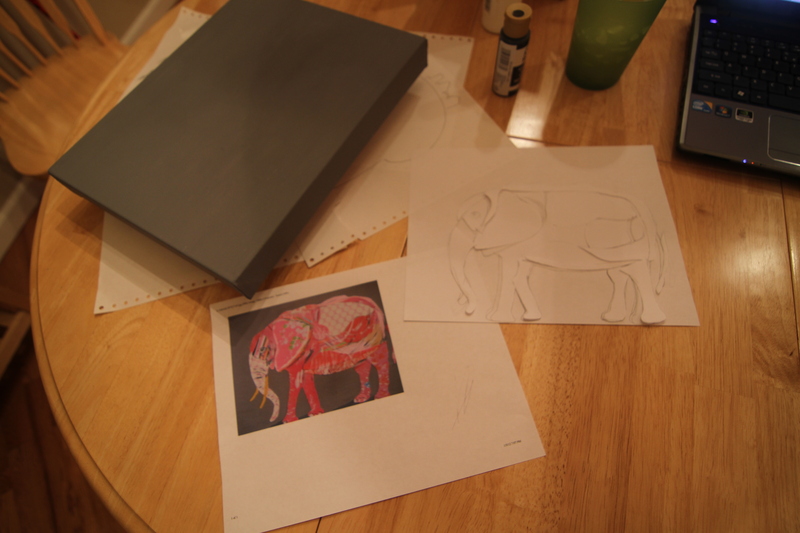 You are currently reading Pinterest project- pink elephant at whatsarahfound.